Homicides are again on the rise in Charlotte. That’s the headline from the Charlotte Mecklenburg Police Department’s latest crime statistics that show murders are up threefold from 2018 and crime overall is up 4.6 percent in the first quarter of the year. 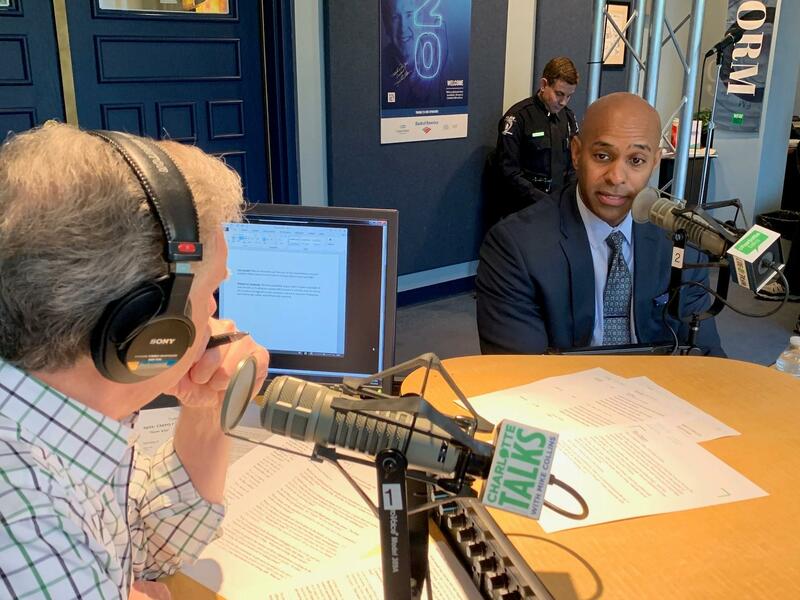 CMPD Chief Kerr Putney talking with Mike Collins in Charlotte Talks' Spirit Square studio. CMPD investigated 33 homicides in the first three months of the year and this time last year, that number was just 10. One thing that hasn’t changed is the prevalence of guns. CMPD Chief Kerr Putney has said that too many are quick to resolve disputes with firearms. 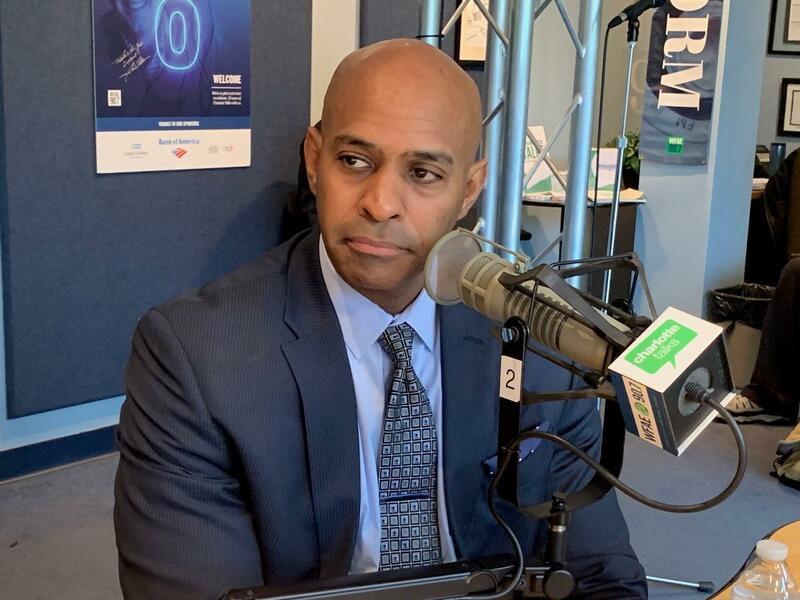 We’ll talk with Chief Putney about the city’s grim homicide count and other topics, including the recent CMPD officer-involved shooting, the department’s struggles in recruiting and retaining officers, his ongoing efforts to engage the community, and we get his reaction to the Sheriff’s recent comments about expanding that office.